Long queues of people are a sign of desire in Singapore. My friends often joke that the best way to make a restaurant successful in Singapore is to plant a queue of people waiting to get in. Perhaps it’s to do with the theory that the reward is sweeter when the effort to achieve it is greater. I’ve heard of people camping overnight for sales electronic gadgets (not the iPad 2). I’ve seen people queue at a single ATM terminal ignoring a perfectly working empty one right next to it. People spend precious lunch-time minutes queuing for an eternity to get a particular brand of tea. I once even met a couple in a queue so long that it’s head wasn’t visible, and they didn’t know what they were queuing for! PS: Queuing is a close favorite-pastime contender with eating & shopping. Spotted at Marina Bay Sands' casino complex. Love for all things Japanese. I can’t say if Japanese brands cracked the queuing insight, but they did get something right. Anything Japanese you can think of – restaurants, bars, apparel, accessories, stationary and even the ubiquitous $2 shops – are something of an obsession with Singaporeans. I won’t be surprised if Japan is one of the biggest outbound travel destinations for Singapore. Every Indian is bound to be amused by this one. Ubiquitous in Singapore, roti-pratas are just short of acquiring national food status, dubiously citing their origins in India. Unlike the wheat rotis or the veggie-stuffed paranthas in India, roti-pratas are layered with flour & oil and stuffed with fillings ranging from cheese & egg to banana & chocolate! Some ingredients did get lost in transition when a huge Tamil community migrated to Singapore. I think Singapore tourism’s “Surprising Singapore” tagline in the 80s captured it all too well. There’s lots more to read on CNNGo & Angry Angmo. What have you been surprised by in Singapore? The comment from Delirium below says a lot about the contradiction that is Singapore 🙂 Thanks for the visit to The Shooting Star as always! ” But then these fines apply to almost anything in Singapore barring perhaps eating in a restaurant or excreting in a washroom. This arguably is the secret behind the generally excepted notion that elevates Singapore to the level of the cleanest and most orderly state of the globe”. 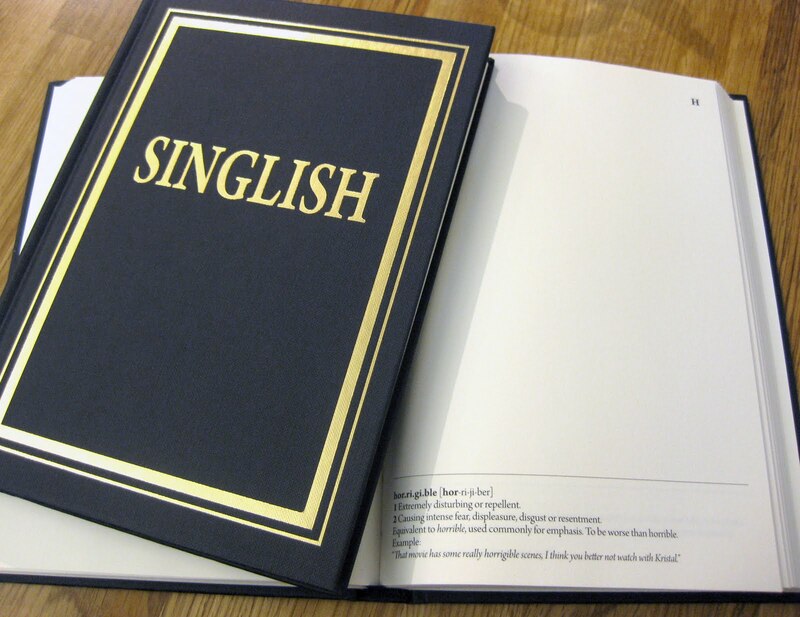 And oh yes Singlish! It always takes a while to interpret and make out Chinese from English spoken in an unsteady fluctuating and drolling accent. And your smiling courteous host keeps looking at your face all the while wondering while you are flabbergasted decrypting the message sporting a distorted contour and foolish look. You’re so right, and if you could decipher all that in one visit, hats off to you! I think the name should change to Q -a- pore. I am a Singaporean. And chongster does not mean of a person who club, chongster means someone who does things faster. Wow, thanks for the explanations Kay. See, I’m still learning about these subtle differences!